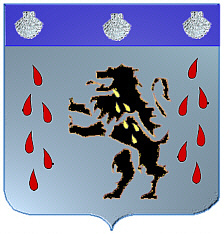 Coat of Arms: A silver shield with blood drops on which there is a black lion rampant with gold drops, and on a blue chief, three silver escallops. 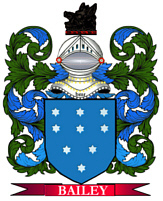 Crest: A silver camel's head with black droplets, a gold crown and a blue collar charged w ith three silver escallops. 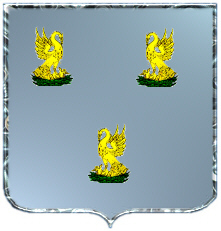 Silver with three gold pelicans in green nests. Crest: A pelican feeding her young. Motto: Pro Rege et grege. Motto Translated: For King and people. 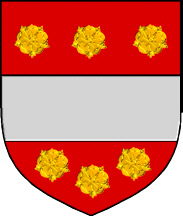 Coat of Arms: A red shield with a silver fesse between six gold roses. McLaren, MacLaurin, MacLaurin, MacLauren, McLauren, McLarin, McCLarin, MacLaran, McLaran, MacLaruan, MacLeran, MacLaurie, McLaurie, Laurence, Lawrence, Law, Lawson, Low, Lowe, Lawrie, Laurie, Lowery, Lowry, Faed, Patterson, Paterson, Peterson, McPater, Patrick, MacPatrick, MacRory, McCrory, McGory, MacRuari, Wright, MacGrory, Peterkin and Borison.